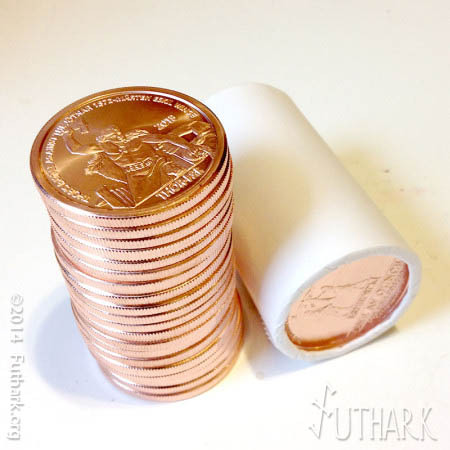 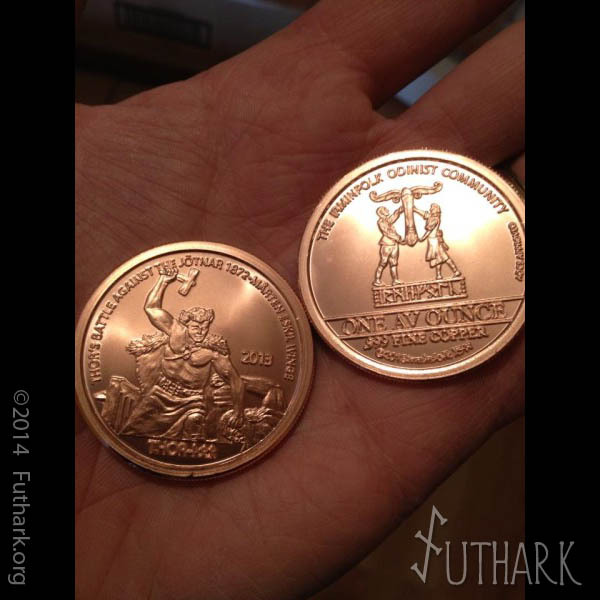 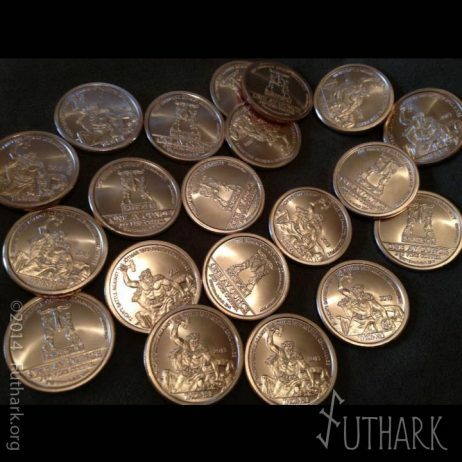 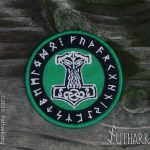 One ounce copper Trade Medallions With Thor on the Obverse. 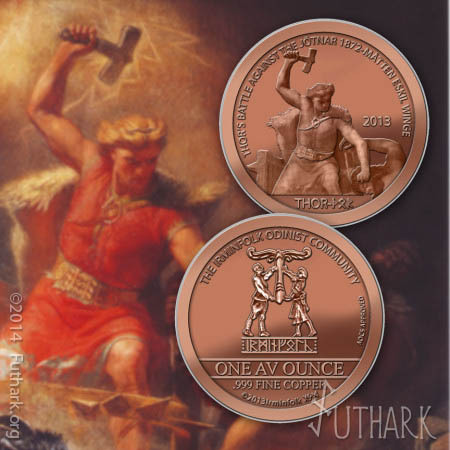 One avoirdupois Ounce .999 pure Copper coin featuring a scene from the painting Thor’s Battle Against the Jötnar (1872) by Mårten Eskil Winge on the Obverse, and the Irminfolk’s logo on the Reverse. 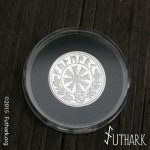 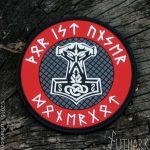 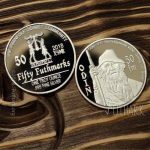 The Irminfolk Trade Medallions are compliant within the standards of the American Open Currency Standard (AOCS) and as such are comparable with all other alternative currency markets that use the AOCS standard. 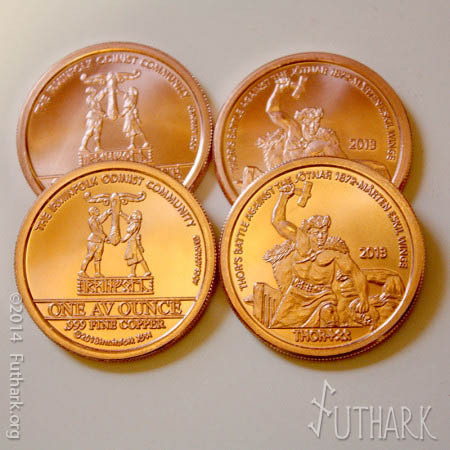 The AOCS guarantees the Weight and Purity for every medallion minted and establishes an equitable rate of exchange between gold, silver, copper and fiat currencies.